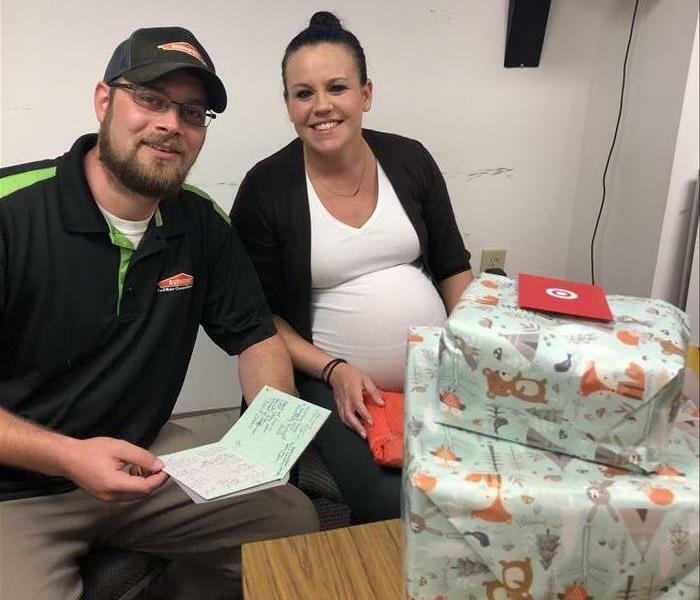 The staff and crew got together for a surprise Baby Shower for our Admin Assistant Lauren and our Production Manager Sean during our weekly Friday production meeting. Little Maverick Davis should be here in about a month, maybe sooner! Check out our fearless leader and GM Don Shupe teaching the kids at Ten Oaks Middle School all about the Restoration Industry for their Career Day, looks like the future generation of SERVPRO Technicians to me! 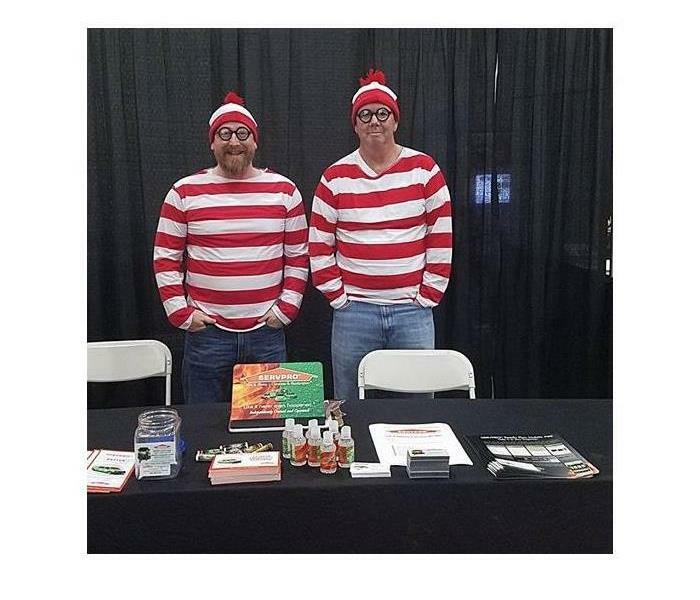 Sales Manager David Gilbert and Marketing Manager Bryan Fulton for SERVPRO of Horry & Georgetown Co.'s teaming up as "Where's Waldo" for the Myrtle Beach Chamber of Commerce's Business Expo where the theme was cartoon characters. 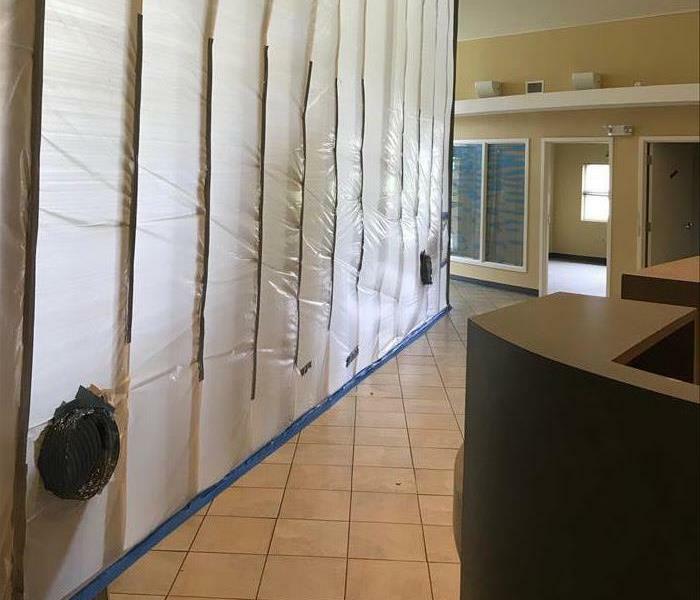 Water Damage In Myrtle Beach, Not on Mitigation Man's Watch! 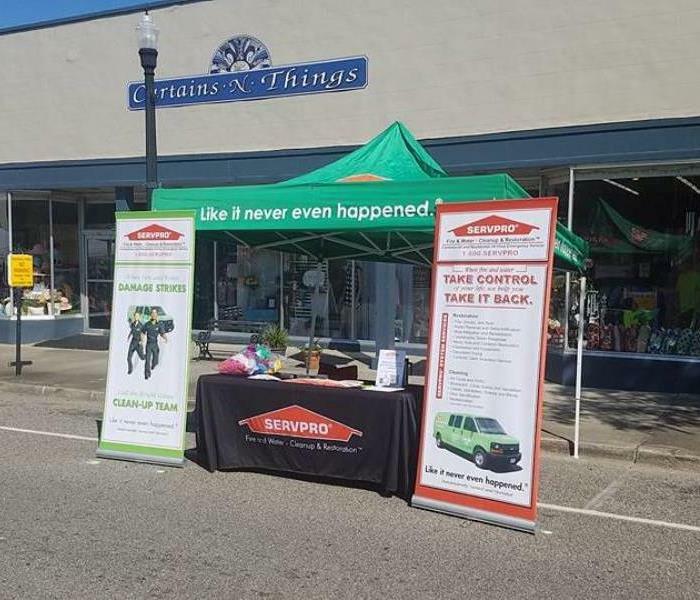 SERVPRO of Horry & Georgetown Co, has teamed up with the Circle K's in the Myrtle Beach and Surfside Beach ares to help celebrate the rebranding and grand openings. 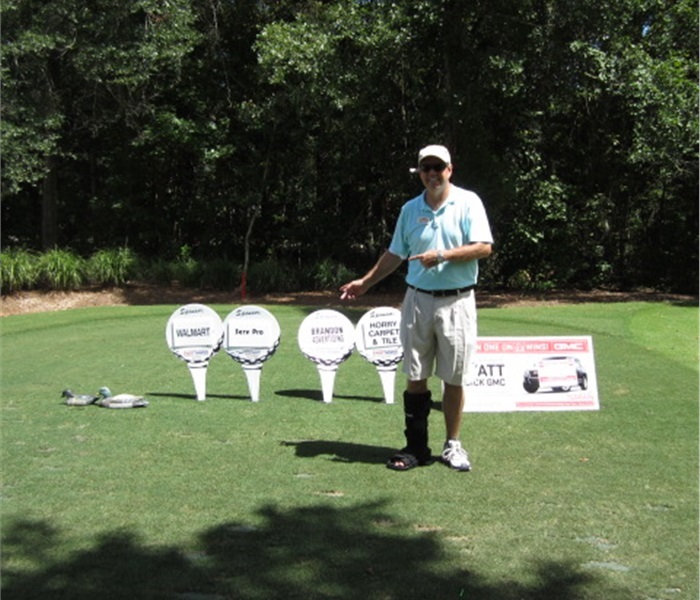 Mitigation Man is also there to protect against a Water Damage in Myrtle Beach! 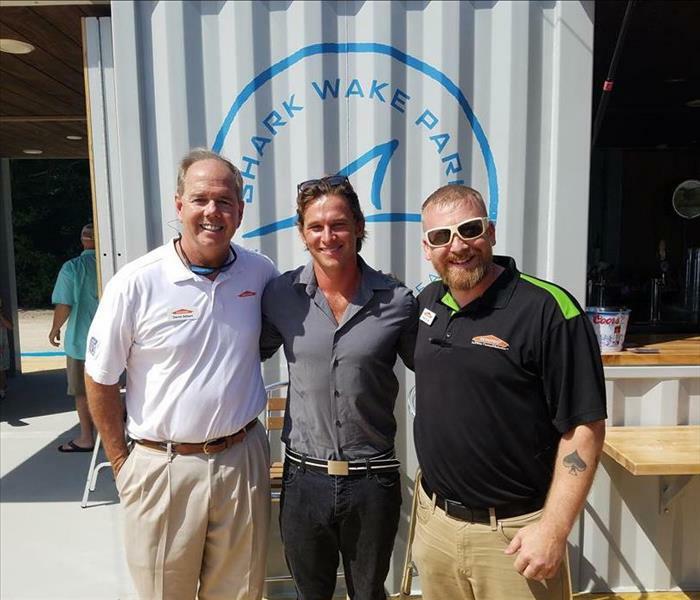 Shark Wake Park opened its doors in North Myrtle Beach South Carolina this summer. 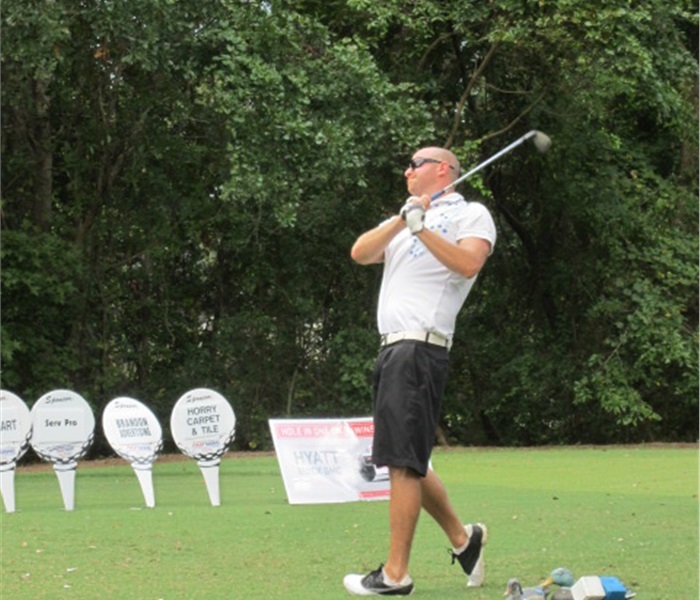 In the photo you can see our Sales and Marketing Managers with Greg Norman Jr who developed the park. 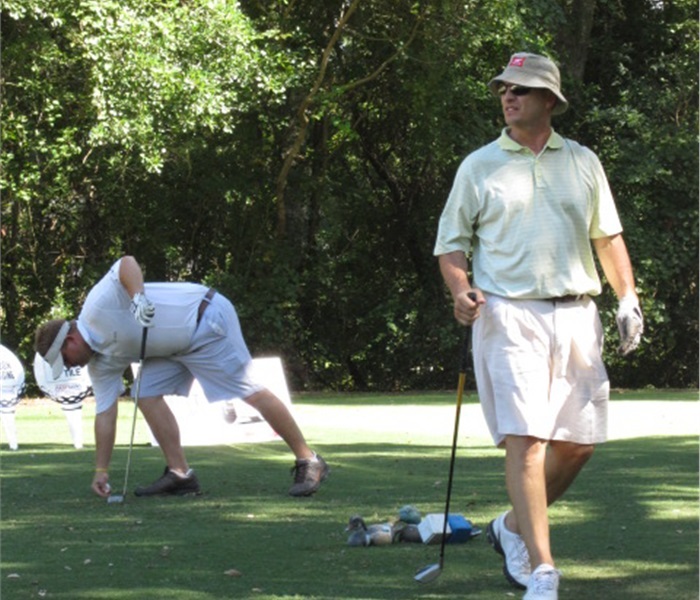 It looks as if they were possibly discussing who to call for a Water Damage in North Myrtle Beach. 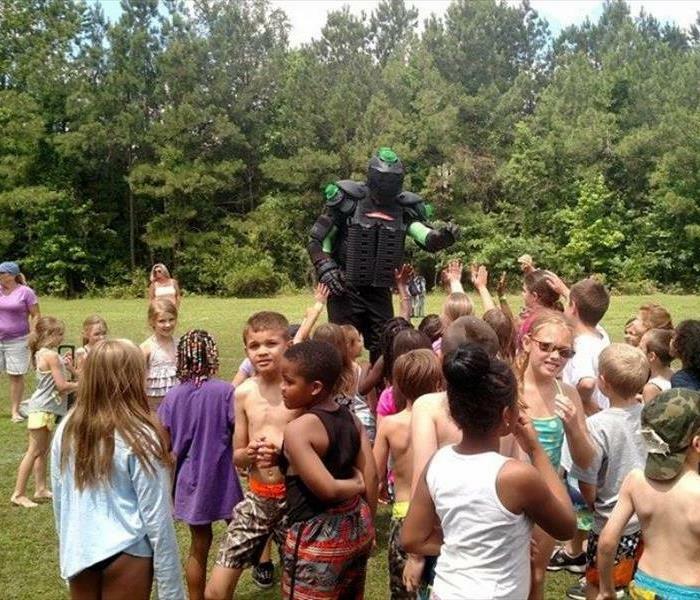 SERVPRO of Horry County sent out a special guest to help with the field day festivities at Aynor Elementary School this week. Everyone had a ball! 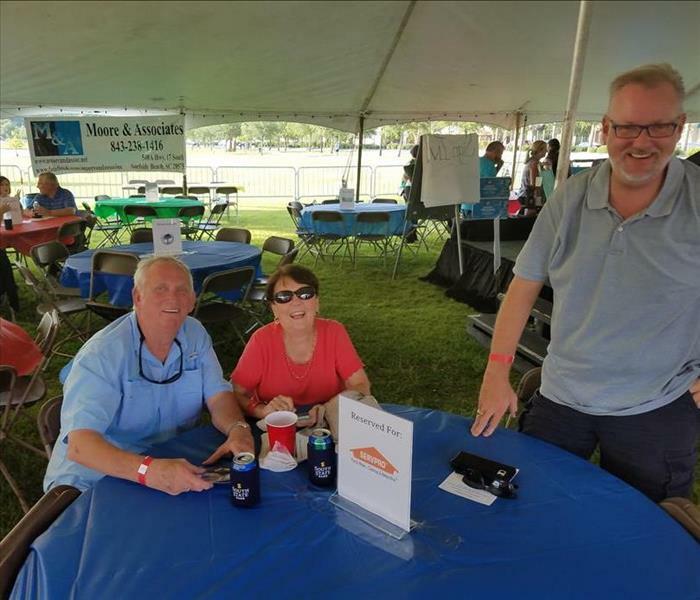 SERVPRO of Horry & Georgetown Co. participated in the Rivertown Music & Craft Beer Festival in Conway SC, and we had a wonderful time. 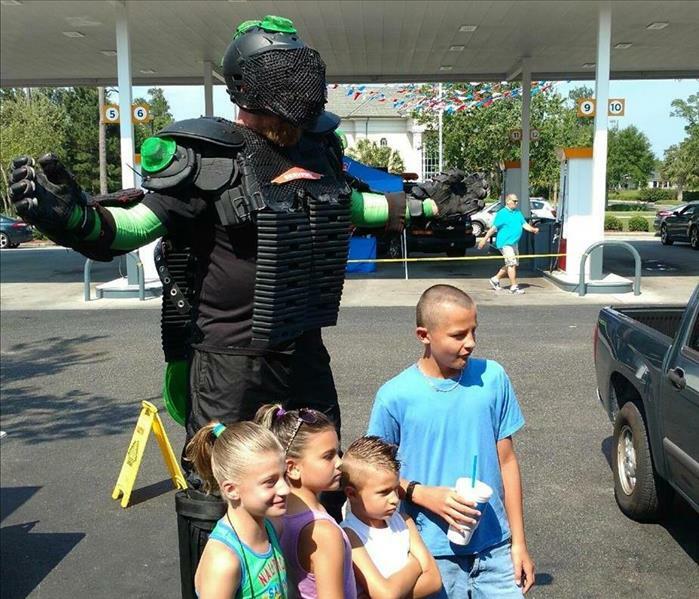 We also had Mitigation Man on location to entertain the masses! 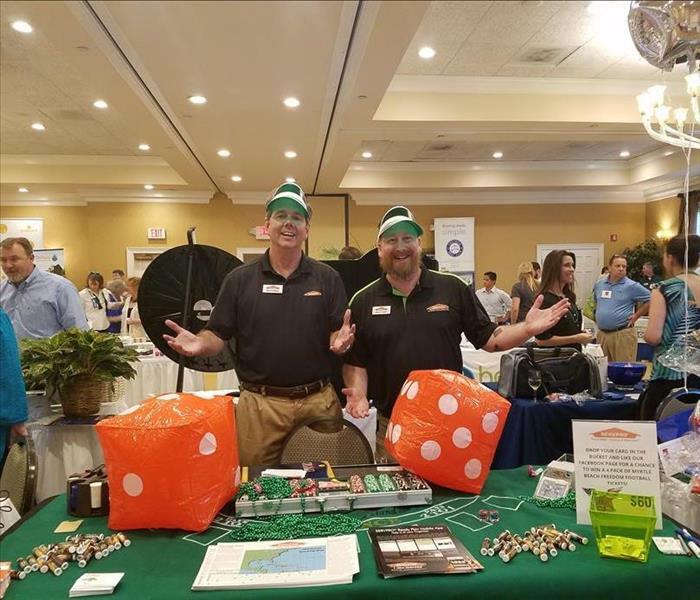 We had a blast at the B2B Georgetown Chamber event, the theme was "Viva Las Vegas" and our Sales Manager David Gilbert and our Marketing Manager Bryan Fulton were on hand to roll the dice. Thanks to everyone who stopped by and said hello and we look forward to working with you in the future! 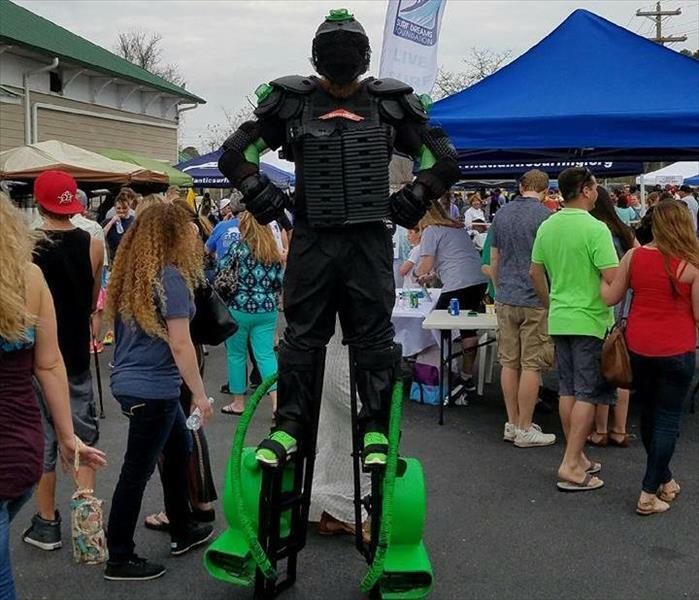 SERVPRO of Horry & Georgetown Co.'s Mitigation Man made an appearance at the Surf Dreams Foundation Mac and Cheese Cook Off. This great foundation helps children of any background learn to surf and appreciate our great oceans. 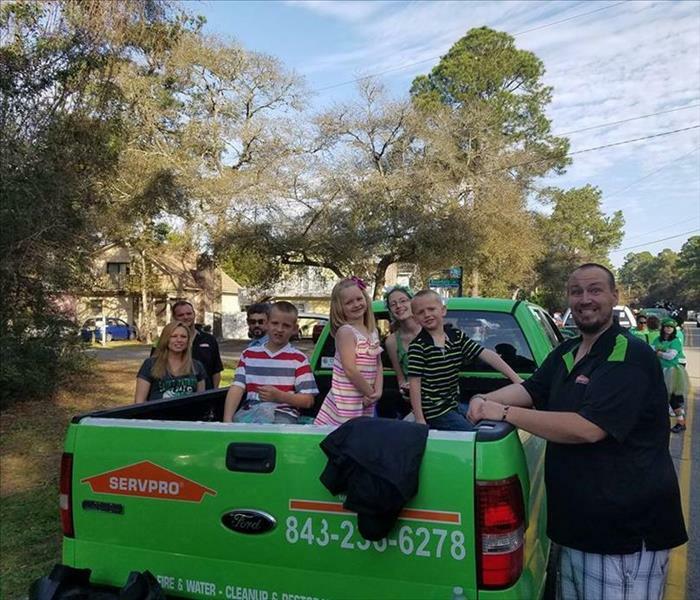 Our SERVPRO crew and their family loaded up the back of one of our service trucks and participated in the North Myrtle Beach St Patty's Day Parade by throwing beads out to the crowd. 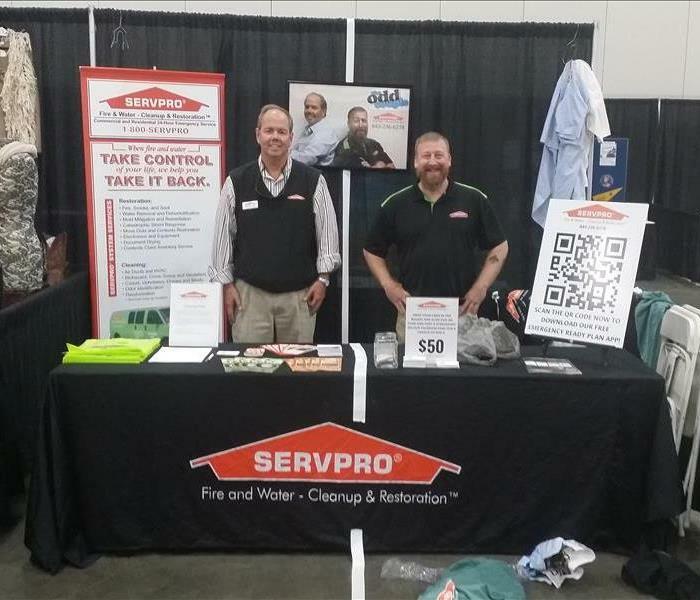 Sales Manager David Gilbert and Marketing Manager Bryan Fulton for SERVPRO of Horry & Georgetown Co.'s teaming up as "The Odd Couple" for the Myrtle Beach Chamber of Commerce's Business Expo where the theme was classic television shows. Our booth at the 2013 Myrtle Beach Chamber Business to Business movie themed event. 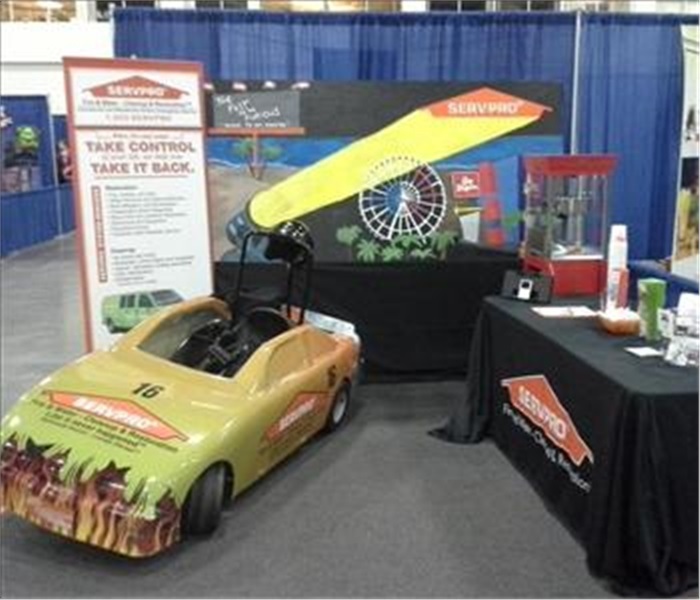 Servpro put together their "Fast & Furious" booth. The Myrtle Beach background was painted by Jay Smith. The booth was manned by Martha Dozier & David Gilbert. Our Operations Manger and his family as well as Our Production Manager and our Administrative Assistant! Our owners Mr and Mrs Roehl! Is your HVAC System ready for the challenges that winter brings?